This is an intensive, one-week seminar designed for advanced graduate students, younger scholars, and more established researchers in biology and the history and philosophy of biology. The course is limited to approximately 20 participants, including discussion leaders. 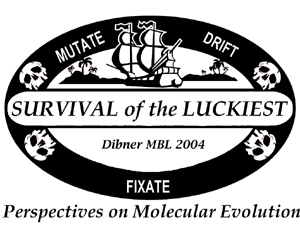 The topic for 2004 is "Perspectives on Molecular Evolution." It is generally acknowledged that, beginning in the 1960s and continuing to the present day, evolutionary biology has been significantly transformed by the incorporation of ideas and techniques from molecular biology. In this seminar, we will "pause" to reflect on these four decades of change. How, exactly, have the general theories and central questions of evolutionary biology changed as a result of molecular considerations? How, exactly, have the standards and practices of evolutionary biology been affected? And, reciprocally, how has evolutionary biology influenced molecular biology? In the process of pursuing these overarching questions, we will consider particular issues and episodes having to do with rates and mechanisms of evolutionary change, the evolution of the genome, molecular phylogenetics, approaches to modeling, and the development of tests to discriminate between alternative hypotheses. The Seminar in the History of Biology has been supported since 1989 by the Dibner Fund and the Dibner Institute. The seminar is being organized with the help of the scientific staff of the MBL's Josephine Bay Paul Center in Comparative Molecular Biology and Evolution. Additional funding for the 2004 seminar has been made available by the Sloan Foundation. Organizers for 2004: Michael Dietrich, Dartmouth College; and Jan Sapp, York University , Toronto.